In the lab of seven-year-old startup Solexel, just south of San Francisco, researchers have been busy re-inventing solar panels made with silicon, the material that already dominates the solar market. The startup is a rare breed these days, and among a dwindling group of venture capital-backed solar materials startups. Many of these types of startups fell on hard times years back as a glut of cheap solar panels hit the market. Solexel has raised about $200 million in total from investors including Kleiner Perkins, Technology Partners, and DAG Ventures. But Solexel’s design is novel and it’s developing panels made of ultra-thin silicon solar cells, paired with diodes that can shut down poor-performing ones to prevent them from affecting the output of the neighboring cells. The back of the cells are layered with materials that improve their durability and the efficiency that sunlight is converted into electricity. We’ll have to wait until next year to see whether or not Solexel’s panels are received well in the market. 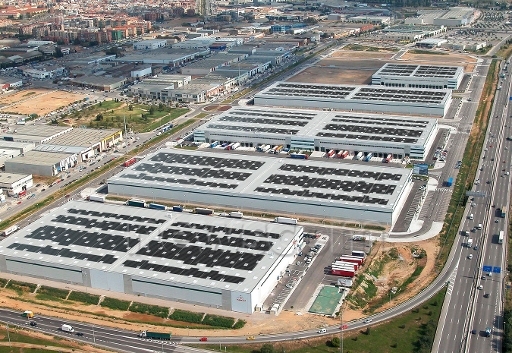 The company is building a pilot production line in a building next to its headquarters in Milpitas, Calif. and plans to use it to prove it can mass produce the panels and launch its technology commercially in 2015, Mark Kerstens, acting CFO and chief sales & marketing officer of Solexel, told us. He declined to disclose the pilot’s production capacity. Although many of Solexel’s startup competitors have gone away, that doesn’t mean there’s less competition for Solexel. Solar manufacturing is ultimately about scale — driving down costs by increasing output — and that requires a lot of capital to start. Huge solar players, such as First Solar, Trina Solar and Yingli Green Energy, already have gigawatts-worth of factories each. Smaller companies are adding production carefully to meet demand. Then you have SolarCity, the largest residential solar installer in the U.S., which plans to build its own factory in New York. Solexel has borrowed an undisclosed sum, through a leasing facility, to build the pilot line. Kerstens says the company intends to build its first full-size factory in Malaysia that will have hundreds of megawatts of annual production capacity at least and up to 1 gigawatt. A conventional silicon solar panel is made up of a series of silicon cells overlaid with a metal grid on the sun-facing side, which transport the electrons produced by the cells. There are usually layers of clear materials, including glass, that protect the front and back of the solar cells. The cells usually run from 150 to 180 microns thick and are sliced with wire-saws from a silicon ingot that is created from a pot of molten silicon. Solexel produces its own cells of roughly 40 microns by using what’s called epitaxial lift-off, a process that grows a cell layer on a host material underneath before slicing off that cell layer. This process is one of the ways to produce ultra-thin cells and allows the manufacturer to re-use the host material (the substrate) repeatedly. The process is not new, but it’s more commonly been used for other and more expensive types of solar cell materials, and not silicon. The challenges has been to minimize any cracks in the ultra thin cells. The process also can be pretty slow from start to finish. But to combat this issue, Solexel is making some big changes to conventional silicon cell designs. 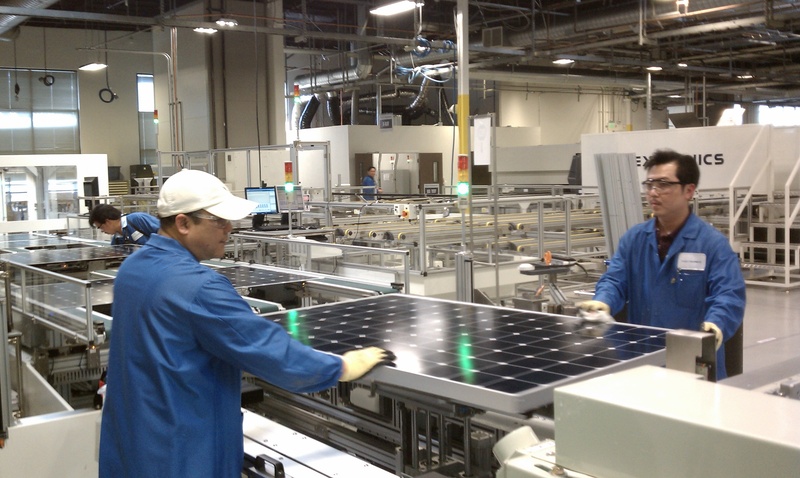 Instead of creating that metal grid (aluminum) on the front of the cells, Solexel puts it on the back, an approach that is often associated with solar company SunPower. This choice frees up space on the front of the cell to absorb more sunlight. To prevent breakage, Solexel adds a layer of custom-designed resin to the cells to support them. Then it creates another metal grid. So a simple diagram of the back of the cell would be: cell, metal grid, resin layer, metal grid, Kerstens explained. He declined to describe how the two metal grids are connected since their role is to transport the electrons out of the panel. Cells are connected in series, so a poor performing cell could affect the production of good ones. This is true for how panels are typically wired together as a system, and the way to prevent one bad panel from affecting other panels is to attach electronics to each panel to isolate the problem panels. Shade, debris and faulty gear can all cause power production to drop. Solexel brings that same idea to the cell level by attaching simple diodes to every cell. The diodes serve as on-off switches to shut off poor-performing cells. Some companies are working on similar designs including Jinko Solar and ET Solar, which, for example, are matching electronics with a cluster of cells at a time. Solexel plans to add more intelligence to its second generation diodes that will not simply shut down the problem cells. Instead, they can extract whatever amount of electricity that the problem cells can still manage to produce while still preventing them from affecting the good cells. Solexel hopes its thinner and lighter solar panels will attract customers that have roofs with weight-bearing limitations, which is an issue with some commercial buildings. Its panels will be about six times lighter than conventional glass-covered solar panels. The company will also market its panels as not needing racks (they would be bonded to the roof), which then would reduce the equipment and installation costs. 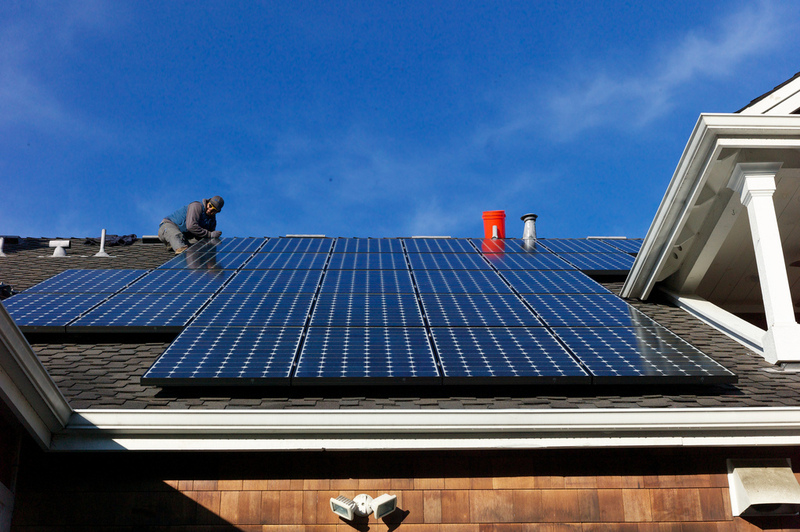 But there is a trade off to that approach: the solar panels’ efficiency will suffer. The panels produce heat while converting sunlight to energy, and there won’t be space below them to dissipate the heat. Solexel is collecting data on how the rackless installation will affect the power production. The startup aims to launch its monocrystalline silicon solar panels with 20 percent average efficiency next year. That efficiency would be higher than the majority of the silicon solar panels on the market today. If you’re interested in solar panels that are less than 1/4 inch thin the you should should consider the use of new lower cost higher efficiency Hyper X 2 solar panels that produce energy from both sides of the solar panels. This advanced technology has been around for the past 6 years but it was always considered to be far too expensive to install. Now because of new technological advances Hyper X 2 Bifacial solar panels can be purchased at a much lower cost than many standard single sided solar panels. Instead of boxy looking 1 1/2 to 2 inch thick framed Gen 1 solar panels, these new higher performance Gen 2 solar panels are only 1/4 inch thin and are made with a stronger, see through, glass on glass, frameless, construction that allows sunlight to pass through and reflect off the roof’s surface, thus illuminating the backside of the double sided solar cells, producing additional power. A mere 10% boost in reflected light can raise this 340 watt solar panel’s output to 374 watts without taking up anymore roof space. New Hyper X 2 solar offers a better PTC to STC ratio “Real World” performance according to the California Energy Commission’s performance rating listings than over 100 of SunPower’s solar panel models. And they offer a very high 92.88% PTC to STC performance ratio. Hyper X 2 also offers a heat resistant -0.31%/degree C temperature coefficient for better performance in warm/hot climates. And when it comes to aesthetics, nothing even comes close to Hyper X 2’s glass on glass, see through, frameless construction. With N-type mono-crystalline bifacial cells for double sided power production, up to a 21.5% efficiency rating, superior aesthetics, and a price that outcompetes the solar lease and PPA company’s offerings, very few products on the market compares to Hyper X 2 Solar.